The view from the top of the valley within which this shooting ground sits will make you slow your car right down. Nestled in the bottom of this pocket of the Yorkshire Wolds is nearly 15 acres of curving lawn where you could practise your tee shots, let alone your shooting, and the steep-sided banks (particularly on the left-hand side of the valley) will leave high-bird fanatics drooling. The clubhouse at Cotton Dale Shooting Ground can cater for up to 40 guests. Opened in 1989 on land attached to a derelict farm – the clubhouse is the only building that remains of its former life – Cotton Dale Shooting Ground is the baby of former Great Britain clay shot Terry Harper. The owner of caravan sites for most of his 69 years, Terry insists on top-notch hospitality and high-quality facilities. The dictionary opposite to a shrinking violet, Terry can often be found behind the barbecue on corporate days and is an excellent host. 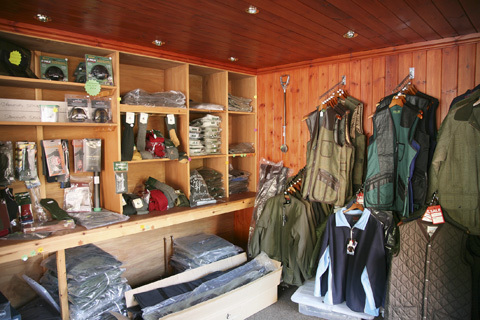 A range of clothing, accessories and guns is available in the shop at Cotton Dale Shooting Ground. Cotton Dale Shooting Ground is aimed squarely at game shooters, with instructors Alan Elvidge and Terry Ling taking the majority of lessons. Both instructors are also available for hire for coaching on game shoot days. Despite having contacts with some of the finest shoots in North Yorkshire, Cotton Dale Shooting Ground is both proud of its roots and passionate about bringing as many novices and lady guns into the sport as possible. School children are as much the bread and butter as high rollers taking 30 days a season, and all are treated with respect. Location of Cotton Dale Shooting Ground: Staxton Wold, around eight miles south of Scarborough. If it looks a little remote on the map, enter “Fordon Lane” into your satnav and you’ll be directed virtually to the front door. 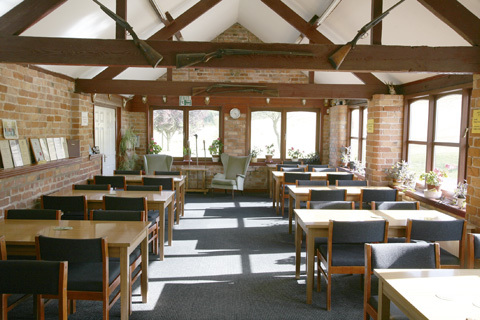 Facilities at Cotton Dale Shooting Ground: The clubhouse complex includes a 40-seater dining room, a shop selling shooting accessories and gun cabinets, and an armoury where guns can be bought and stored. There are 40-plus automatic traps that show all manner of game targets, including one at 150ft from the top of the bank. Plus points of Cotton Dale Shooting Ground: Terry Harper is a fantastic host and his brand of hospitality filters down into the calm, assured and friendly manner of his instructors, who take an interest in you and well as your shooting. 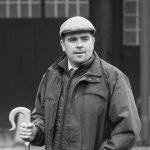 The ground makes excellent use of its topography and the highest targets will benefit those guns wanting to prepare for the best sport the county has to offer. Drawbacks of Cotton Dale Shooting Ground: The prevailing north-west wind that flows through the valley is sometimes a hindrance to the flight of the clays – but then again those North Yorkshire birds are never simple, are they? Costs at Cotton Dale Shooting Ground: £70 for a one-hour lesson including cartridges and clays (other offers are also available). cottondaleshootingground.co.uk or telephone 01944 710313.